Chessington Park Surgery is no longer able to be responsible for booking and arranging hospital transport which means that patients must organise this directly. Patient Transport Services (PTS) have been commissioned by Kingston Commissioning Group which is provided for those patients whose medical condition means that they cannot get to their appointment in any other way. Criteria is applied to all transport requests to make sure that each request is considered fairly and consistently so that transport is available for those who have a medical need for transport. To find out more information about how to book transport, please see the attached document to ensure you are eligible. If you think you may be pregnant please see the doctor first at a routine appointment. Further antenatal care will then be arranged. 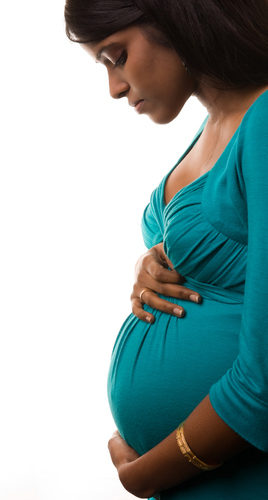 Postnatal examinations should be carried out six weeks after the birth. Appointments can either be arranged during the Thursday afternoon baby clinic at the same time as the six week baby check, or during normal surgery hours. A well baby and immunisation clinic is held every Thursday afternoon between 14:00 and 15.30 by the doctor and health visitor. An appointment is necessary for immunisations with the nurse and for six-week baby checks with the doctor. No appointment is necessary to see the health visitor during this clinic. It is very important that you visit Dr Kumar on an annual basis for a full review of your condition and review of your medication. This appointment can be booked at reception. We also have a our Practice Nurse Stella, who specialises in diabetes care. Weigh-2-Go is only at Surbiton Health Centre - patients would need to go along and join as a temporary patient. Weight Watchers or Slimming World http://www.weightwatchers.co.uk or http://www.slimmingworld.com These group programmes are held at local halls, schools and community centres. Each class includes a weigh-in and a discussion around diet and weight loss. To join a free 12 week programme at Weight Watchers or Slimming World, please phone 0208 547 6815 for details. Get Active Exercise Referral Get Active is a 12 week exercise referral programme with 5 personal appointments with a qualified exercise specialist. You can choose one of 3 (not 5 as advertised in the leaflet) Leisure Centres in Kingston: Kingfisher, Tolworth Recreation Centre and Malden Centre. You would need to be referred by a GP, Practice Nurse or other Health Professional who will fill complete and sign a referral form. The cost is £3.90 per session. Attached is an information leaflet. Get Active Exercise Referral Aquacise Every Wednesday at 3.00pm for 12 weeks at the Kingfisher Leisure Centre following an assessment with a Get Active Exercise Referral instructor. You would need to be referred by a GP, Practice Nurse or other Health Professional who will fill in a referral form. The cost is £4.00 per session. Kingston Healthy Walks Just turn up for one of our free scheduled walks, some of which are led by trained walk leaders while others are just the group joining for a healthy walk. Attached is an information sheet. Dr Paul and Dr Kumar perform minor operations at the surgery by appointment. The doctors will be happy to advise you on this, prior to a minor surgery appointment. You will need to see you GP before any blood taking appointment can be book with our Healthcare Assistant. The doctors are happy to carry out medicals eg insurance and driving licence, by appointment outside surgery hours. Please telephone the surgery for an appointment. Please ask at reception for the charges for these services. A trained counsellor is available for counselling. Please ask your doctor for a referral. The practice has an audiology service one a month. You need to see the GP to make sure you have no other symptoms before being referred to the service. If you are aged 75 years or over, you should be seen annually, either by your doctor, the practice nurse, district nurse or health visitor. This can be arranged at the surgery or, if that is not possible, a home visit will be arranged. The influenza vaccination is recommended for those patients over 65 and particularly for patients with heart, lung or kidney disease, diabetes and residents of nursing and rest homes. Please contact the reception staff in October for details of the vaccination dates and to make an appointment. If you are unable to attend the surgery, a home visit will be arranged to undertake this facility. The district nursing team is responsible for nursing care in the community. 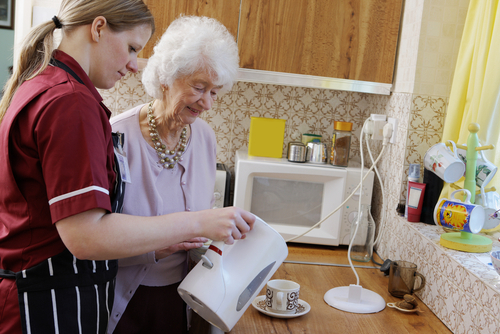 If you need nursing care at home the doctor will arrange for the nurse to call. Please telephone the surgery to make the necessary arrangements. Health visitors are registered nurses who have undergone further specialist training, particularly relating to expectant mothers, pre-school age children and the elderly. Services include parentcraft sessions, developmental assessments, child health clinics, counselling, health education and promotion of health care with the elderly. The health visitors attend our Children's Clinic on Thursday afternoons.